Undertale invokes (consciously or not) the ethics of Immanuel Kant, and in doing so, it ushers in a new era of video games as art. Undertale, the recent game by Toby Fox, set off a storm of interest in the idea of the “metanarrative”: a narrative that raises questions about a game’s inner structure and the role of the player in that structure. This isn’t to say that Undertale was the first video game to include a narrative. Games like The Stanley Parable and The Beginner’s Guide are recent examples of games interested in “playing with the player”. Even 1999’s Omikron: the Nomad Soul attempted to bring the player-qua-player into the world of the game. 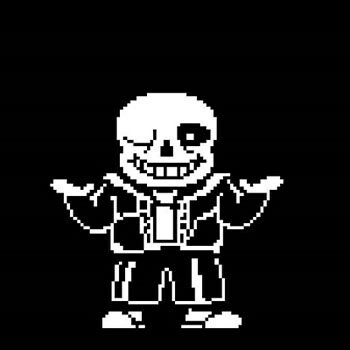 However, Undertale stands apart from those games because it raises a unique philosophical question. A bit of philosophical history: Immanuel Kant lived and did his work in the Prussian city of Königsberg in Preußen during the latter portion of the 18th century. Kant was a prodigious thinker, influencing theology, epistemology, and the Enlightenment. For our purposes, we turn to Kant’s innovations in ethics. though. Kant argued in Groundwork of the Metaphysic of Morals that morality is fundamentally rooted in the idea that one should view our treatment of others as not merely a means to our own ends, but as an a means of advancing the greater ends of humanity itself. Kant was concerned with how humans, as autonomous, rational beings, are not synonymous with objects and must be respected as subjects instead. Kant gave a short philosophical exegesis, recorded in the Lectures on Ethics, in which he questioned how the ethical person can justify kindness to animals when most ethical theory places humans at their center because of the importance of human agency and self-awareness to ethics. Kant’s justification is perhaps intellectually unpalatable to modern animal-rights advocates, but it is consistent with his radically anthropocentric ethical theory. He claimed that we don’t owe any moral consideration to animals themselves, but it is obligatory to treat animals with as much dignity and kindness as possible in order to indirectly fulfill our duties to other humans. In Kant’s mind, it is the continual refinement of one’s behavior that leads to becoming a better person. One is not “born good”. Instead, one utilizes one’s self-awareness and reason to become good. Therefore, when we treat animals with kindness and consideration, this is a form of practice that refines our ability to treat others with kindness and consideration. Conversely, when we treat animals cruelly, we run the risk of making exploitation and callousness easier for ourselves and allowing us to treat others as means instead of as ends. In most video games, though, the player is regarded as something completely disconnected from the world of the game. One can consider the player to be a kind of god or to be the inscrutability of fate or even to be the subconscious of the game’s characters. The common factor among these options is that the player is not “part” of the game, but is somehow observing it playing out. Undertale undoes that order by making several characters in the game aware of the player’s existence. These characters are aware of the player’s actions no matter how many times the game is reset, and they comment on that, occasionally reaching out to affect the player’s save files, future playthroughs, and even the software of the game itself. This running commentary on the player’s actions means that there’s a constant judgment being made about the way that the player treats the characters in the game. Undertale does away with the veil that separates the player from the game, and, perhaps, it renders the entire idea of that separation erroneous in every other video game, implying that simply because the player feels disconnected from the results of their actions doesn’t mean that there aren’t any results of taking action. Thus, with that added scrutiny comes a question of moral culpability. In the “golden ending” of the game, the characters all achieve the best of all possible worlds, and the game ends happily ever after. But should the player load the game again, they will be confronted by a character, who (because of the machinations of the narrative) remains as meta-aware as the player. This character, aware that the player has the power to reset that “golden ending” and return the other unaware characters to the misery that they have suffered at the beginning of the game, begs the player across the fourth wall to let the characters have their happy ending and never play Undertale again. It seems fairly obvious that we couldn’t owe any first-order obligations to the game's characters. Despite how well-written and dynamic they are, the characters are ultimately digital simulacra that aren’t self-aware and can’t act beyond the constraints of Toby Fox’s programming. It would be as absurd to consider Undertale’s characters as the ends of our moral obligations as it would be to treat a bookshelf or suitcase as the center of our moral universe. However, Kant’s thoughts on animal rights are a fruitful thing to consider in this situation. We may not have any direct duties to Undertale’s characters, but we may have indirect duties. Modern zoologists may disagree with Kant’s assertion that animals lack self-awareness, but his arguments prove to be prescient when applied to the characters of Undertale. We are not given permission to be passive and disinterested observers of the game; it is made clear that we, the players, are a part of this world and that we have absolute power over its inhabitants -- and that responsibility can shape who we are as people. Undertale seems to suggest a Kantian view of ethics from that standpoint. Should the player decide to go through the game killing the inhabitants of the underground, the game responds by openly condemning the player as monstrous. Near the end of that particularly violent playthrough, one of the meta-aware characters confronts the player, revealing that the “EXP” gained through the slaying of the monsters of the underground (traditionally a mainstay of western RPGs) actually stands for “execution points” rather than “experience points”. That revelation and this macabre description of “execution points” both fit into Kant’s theory of why we owe indirect duties to the non-aware: when we regularly commit atrocities against non-actors (originally art and animal life in Kant’s view). We risk normalizing those atrocities and of seeing other people through that same lens. This isn’t to say that “being bad in video games makes you a bad person”, though. While it’s possible that negative cultural stereotypes in video games can resonate with and influence a player’s preconceived beliefs, there isn’t any evidence that violence in video games normalizes violence in their players. However, maybe the converse is true. Choosing the kinder options in video games might incrementally make players better people. The decision not to replay Undertale doesn’t help real people. However, choosing it -- choosing the option that mirrors the kindness that we can give to other people -- allows us to train our own sense of right and wrong. As Kant might argue, choosing Undertale’s “golden ending” and then not replaying the game afterwards is an indirect duty because it makes us more sensitive to the people to whom we genuinely owe our moral obligations. Even though Undertale is unique insofar as it places the player into a Kantian ethical dilemma, still that ethical dilemma also raises questions about video games more generally. With the separation between player and game abolished, the player of Undertale is forced to ask: “Should I always consider the morally right thing to do when playing other games?” The answer is tinted in shades of grey. Undertale stays close to Kantian deontology, but that isn’t true for all games. Take, for example, 2009’s Dragon Age: Origins. The game’s narrative makes it clear that out of necessity all moral and ethical considerations in the game are made secondary to the protagonist’s mission to preserve the “common good” of the whole world, meaning that if the protagonist must do something “evil” for the sake of the world’s overall stability, the act is automatically justified. Take also a character like Kreia from 2004’s Star Wars Knights of the Old Republic II: The Sith Lords. Her moral philosophy rejects both Undertale's Kantian deontology and Dragon Age: Origins's utilitarianism in favor of a radically egocentric interpretation of Nietzsche. One of the fundamental powers of art is its ability to debate and reframe ethical questions, and video games have the power to do that too. Video games, in fact, have an artistic power generally lacking in both cinema and literature -- the ability for a player to directly influence the narrative and ethical bent of the game. The relative youthfulness of video games as a medium means that the moral questions and responsibilities of players having that kind of power are only rarely addressed. Undertale raises difficult, Kantian questions about our obligations and personal morality. These questions become even more difficult when the game asks us to start applying those same questions to other video games. But on an artistic level, Undertale places itself next to works like As I Lay Dying and Die Ehe der Maria Braun in terms of its ability to make us contemplate the dilemma-ridden moral choices that we have to make as human beings.